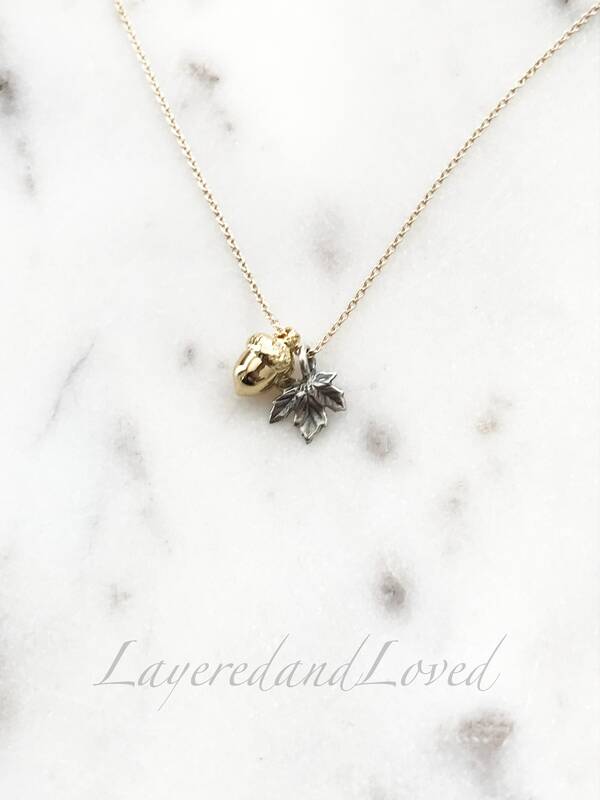 Beautifully dainty acorn and leaf on a 14k gold filled slim line chain. Similar style on Kate Middleton. 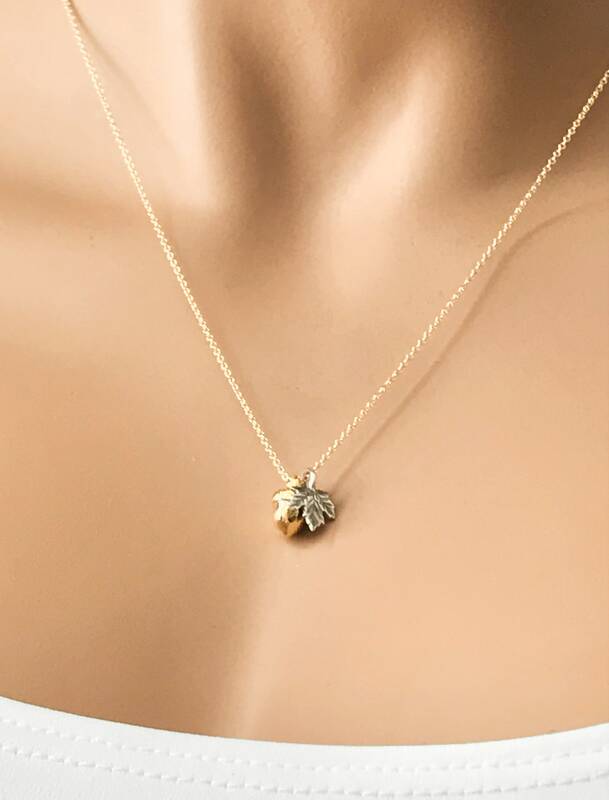 The sterling silver leaf is more of a maple leaf 🤭 but the two look wonderful together. 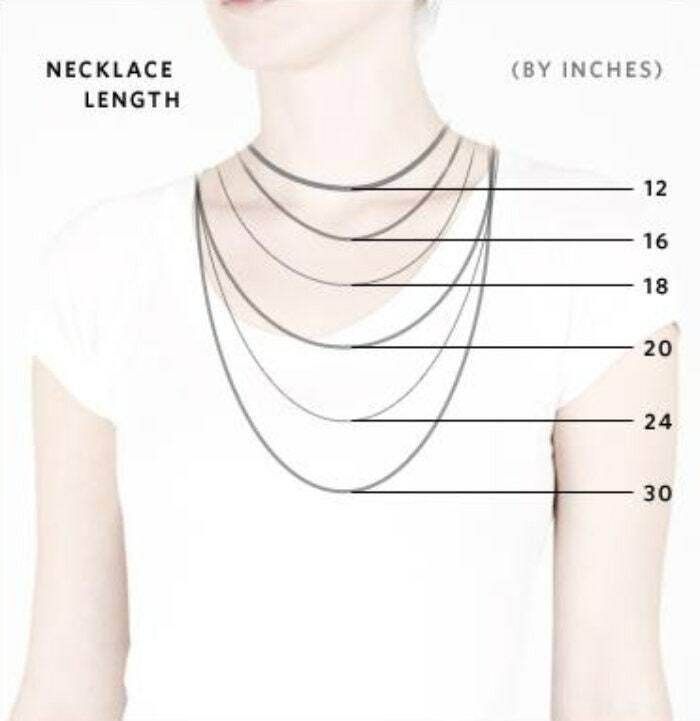 This necklace looks great wearing short or long, choose the length you would like in the drop down menu. 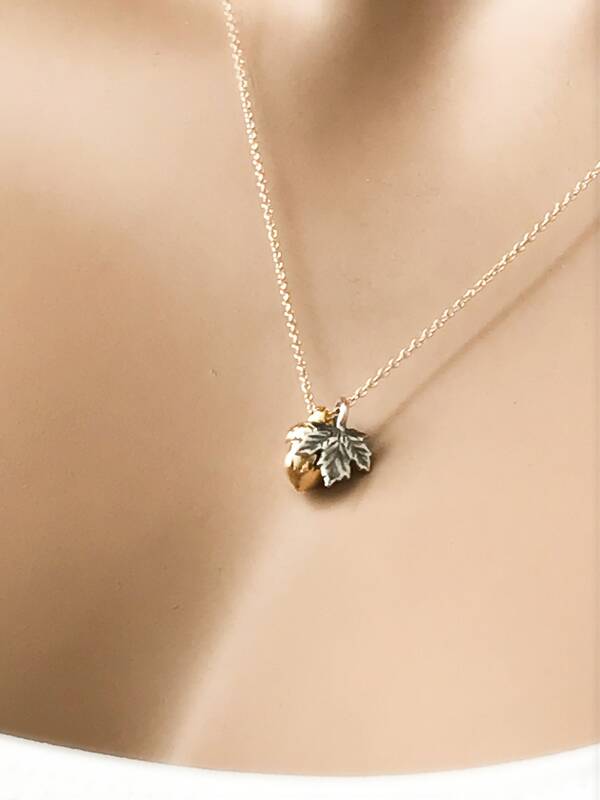 The acorn is the seed of the mighty oak tree; therefore, it symbolizes potential and strength.